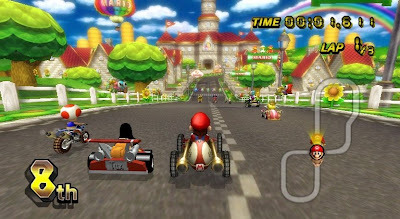 For the first time, we are giving you screenshots of the current state of SuperTuxKart, as being ported to irrLicht! The game features real-time shadows and lighting, moving clouds and advanced particles effects. It also features soft body dynamics simulation for plants, and liquid physics for water. We are also integrating a hologram library, which will eventually allow SuperTuxKart to come out of your screen in real 3D. In Spain a day like this one is celebrated 28th Nov, and I normally miss 1st Apr. 28th Dec, sorry, in Spanish speakers' countries it's on 28th Dec. I have to say it. I wouldn't like the change very much. Don't know why, but I prefer STK graphics. Nice see this in game!